Louisville, Kentucky is home to today’s “Museum of the Day,” The Speed Art Museum. Although the museum is closed for a major renovation and new 21st century building construction, there are still ways to participate and support this, the oldest and most significant art museum in Kentucky. With a $50 million expansion planned through 2015, The Speed Art Museum is currently closed for construction. The new 60,000-square-foot North Building will help create one of the finest experiential art museums in the country and will double the overall square footage and nearly triple the gallery space from the existing wing. The expansion will create a state-of-the-art space for larger special exhibitions, new contemporary art galleries, a family education welcome center, indoor/outdoor café, museum shop, and a multifunctional pavilion for performances, lectures and entertaining. Additionally, the new Elizabeth P. and Frederick K. Cressman Art Park and public Piazza will be created for the display of sculpture that will engage University of Louisville students and faculty and museum visitors. Visit the museum’s satellite space, Local Speed, at 822 East Market Street, during the expansion! Local Speed serves as the Museum’s satellite space during the renovation and expansion, hosting unique programming, special exhibitions, family art activities and events. Local Speed is located in the heart of Louisville’s downtown neighborhood, Nulu and is open Fridays, 12-8 and Saturdays, 11-4. You can also join free and informal docent tours of the gallery on Fridays and Saturdays between noon and 3pm. It’s a wonderful way to experience art at a slightly different Speed. I look forward to seeing the new museum in 2015! Davenport, Iowa is the location of today’s “Museum of the Day”. The Figge Art Museum is the premier art exhibition and education facility between Chicago and Des Moines. With soaring glass walls reflecting the constantly changing sky, the museum’s expansive galleries and intimate rooms are home to some of the Midwest’s finest art collections. Studio-style classrooms allow young and old to participate in the creative process. The museum opened as the Davenport Municipal Art Gallery in 1925 with a gift of 350 European and Mexican Colonial paintings, creating the first municipal art gallery in the state of Iowa. Today, the collections include more than 3,500 paintings, sculptures and works on paper from the 16th century to the present. In 1987, the museum changed its name to the Davenport Museum of Art. Then in 2003, the museum relocated to the heart of downtown Davenport, following a major capital campaign. In recognition of the $13.25 million lead gift to the new building project from the V. O. and Elizabeth Kahl Figge Foundation, the museum was renamed the Figge Art Museum. 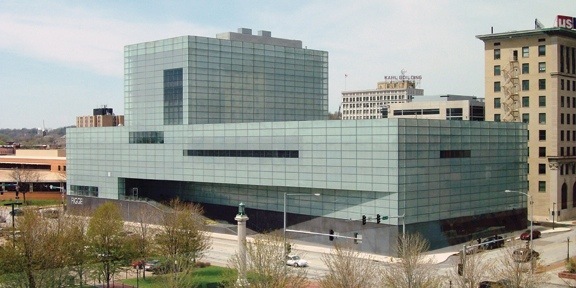 The Figge Art Museum opened at its new home on the banks of the Mississippi River in August 2005. The 114,000 square-foot facility was designed by British architect David Chipperfield. The combination of reflective, transparent and opaque surfaces continuously transforms the appearance of the facade in relation to the sun and changing cloud patterns. The building is a civic landmark in downtown Davenport, and enables the museum to further its mission as a regional exhibition space and a community-oriented education center. The museum manages the majority of the extensive collections of African artifacts and Modern art from the University of Iowa, my alma mater. The University experienced serious damage during a flood in 2008 and is still raising funds to rebuild a museum. Located in Anchorage, the Alaska Native Heritage Center is my pick for “Museum of the Day” today. An educational and cultural institution for all Alaskans, the Alaska Native Heritage Center provides programs in both academic and informal settings, including workshops, demonstrations, and guided tours of indoor exhibits and outdoor village sites. Local residents and visitors to Alaska are introduced to Native traditions and customs of both the past and present. The Welcome House is a celebration of contemporary Alaska Native cultures while the outdoor facilities and sites allow the exploration of ancient tradition and the presentation of stories from the past. 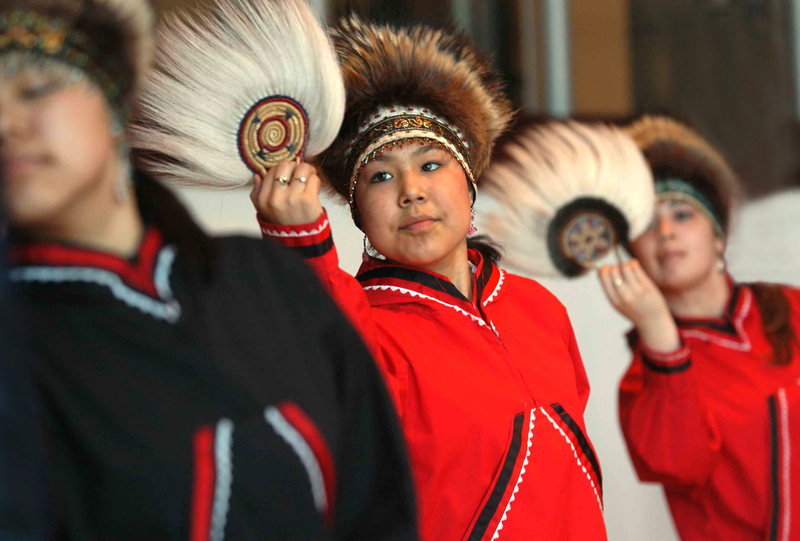 The center provides a unique opportunity to experience Alaska’s many diverse Native cultures at one location. In facilitating the transmission of Alaska Native knowledge, heritage and tradition, the Center promotes self-esteem and pride among Alaska Natives. The Alaska Native Heritage Center improves understanding among all Alaskans and encourages appreciation of Alaska Native people and their traditions, history, and contributions to Alaska. This museum is on my bucket list for places to experience before 2020. 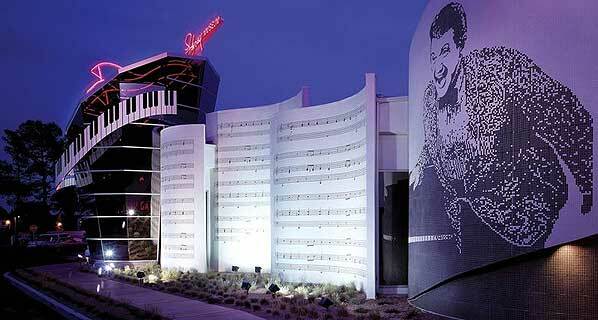 The Liberace Museum, now closed, is our Museum of the Day for Tuesday, January 14, 2014. “Behind the Candelabra,” an HBO feature film that earned Michael Douglas a Golden Globe this past Sunday, features the star as the famed pianist and Liberace’s partner, Scott Thorson, is portrayed by Matt Damon. The museum closed in 2010 due to economic struggles, and the exhibits never “came out” with the truth about the nature of Liberace’s relationship with Thorson. Liberace himself opened the museum on April 15, 1979. His brother George became the director. The museum was part of the Liberace Plaza, where his restaurant was also located. The museum had two buildings: The Jewelry and Costume Gallery, and the other building where the pianos and cars were showcased. On October 17, 2010, the Liberace Museum closed “indefinitely, but not forever” according to Liberace Foundation Board of Directors Chairman Jeffrey Koep. The closure was announced due to economic downturn and a decline in the number of visitors. A tour of the Liberace collection is planned. The museum’s board of directors is continuing to seek a new home for the museum on Las Vegas strip, but the efforts have thus far been unsuccessful. It is said that megastars like Elton John, Boy George and even Lady Gaga can attribute their artistic flamboyancy to Liberace. Perhaps with the new HBO film, Liberace’s legacy will be revived and the museum can find a more suitable venue that will re-engage old fans and bring in new audiences.